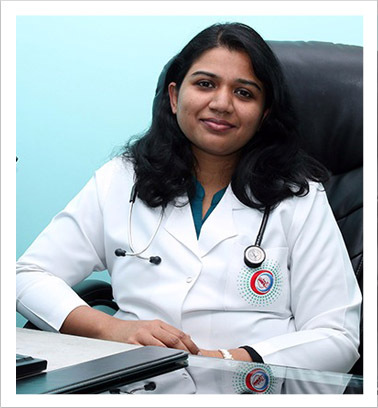 Dr. Diana has finished her Graduation from Madras medical College in 2006 and her Post-Graduation from Thirunelveli Medical College, Tamil Nadu in 2011. After completing her Post-Graduation she had been working as an In-Charge of Pediatric ICU in a 150 bedded Pediatric Multi Specialty Hospital in South Tamil Nadu. She has experience in Managing Emergencies of Various Types and had done numerous Endotracheal Intubations. She has also played a Lifesaving Role and managed mechanically ventilated patients. She does not leave any stone unturned to regularly update herself. Also creating a calm and serene atmosphere for the parents are child is considered very important by her. She has finished Pediatric Emergency Medicine Course and Pediatric Advanced Life Support course. She has been with the Shifa Al Jazeera Medical Group Farwaniya for more than a year and now is with Al Nahil Intl Clinic. Giving health education and advising parents or guardians regarding the nutrition, hygiene and disease prevention in children. Treatment of Minor illness to Acute and Chronic health problems, allergic and Immunological disorders and Behavioral Disorders.